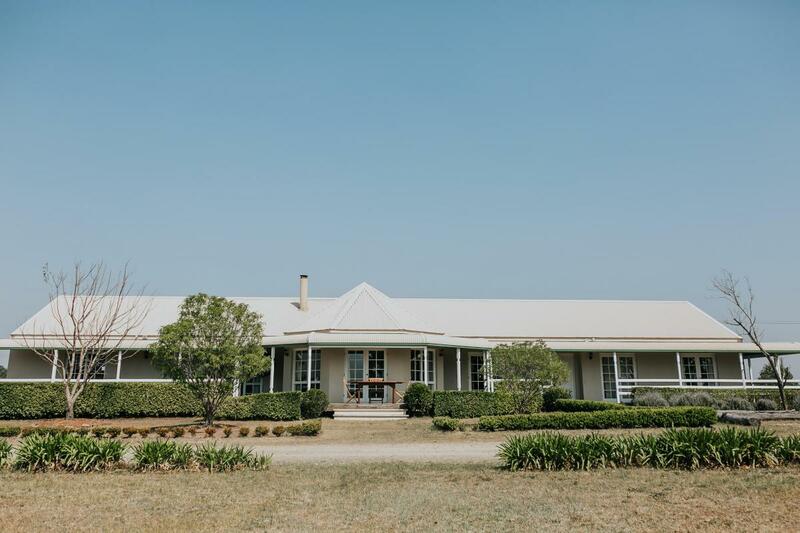 With pride of place at the gateway to the Hunter Valley on the renowned Hermitage Road, Corunna Station is a haven for those seeking a memorable and luxurious stay with the best cellar doors, restaurants, wineries and activities only moments away. 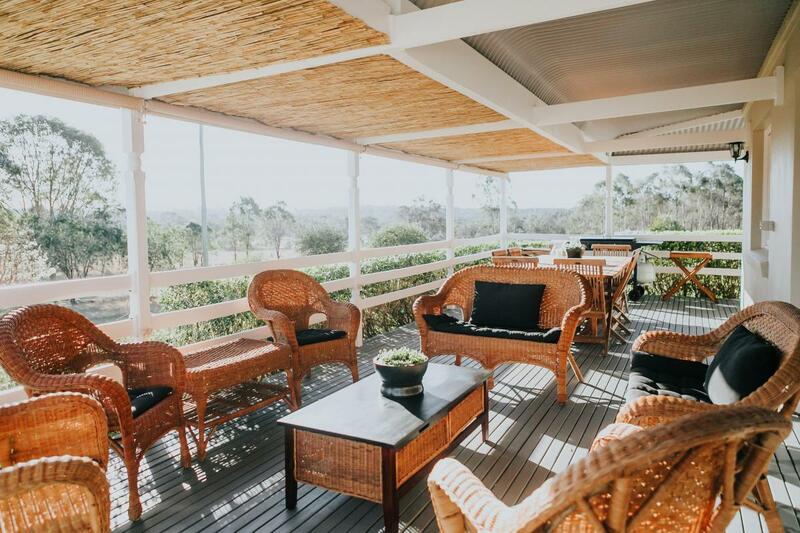 Located 15km to the famous Hunter Valley Gardens, 6km to the Ironbark Hill Brewhouse, Enzo Weddings and Piggs Peak, 8.5km to Thomas Wines and minutes to Botanica Restaurant and Muse Kitchen. 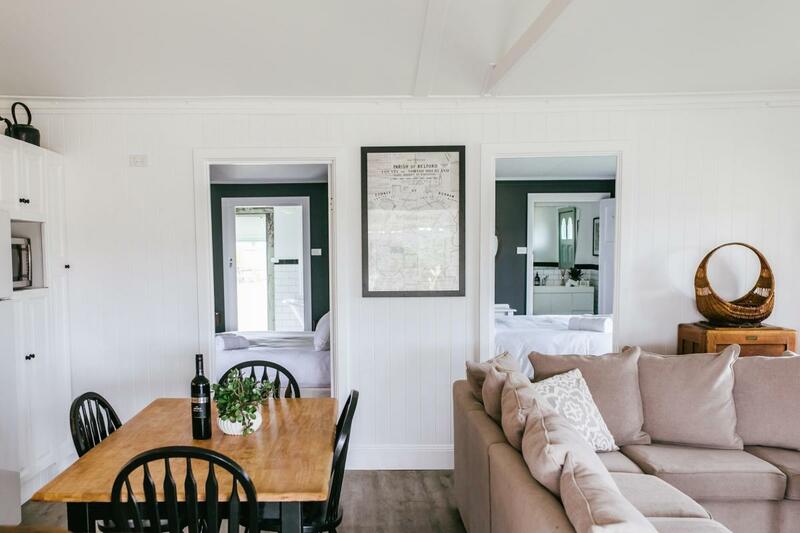 Guests can enjoy the great outdoors and hire bikes to explore the tastes and sites along the Hermitage Cycleway or enjoy the outdoors on a horseback trek. 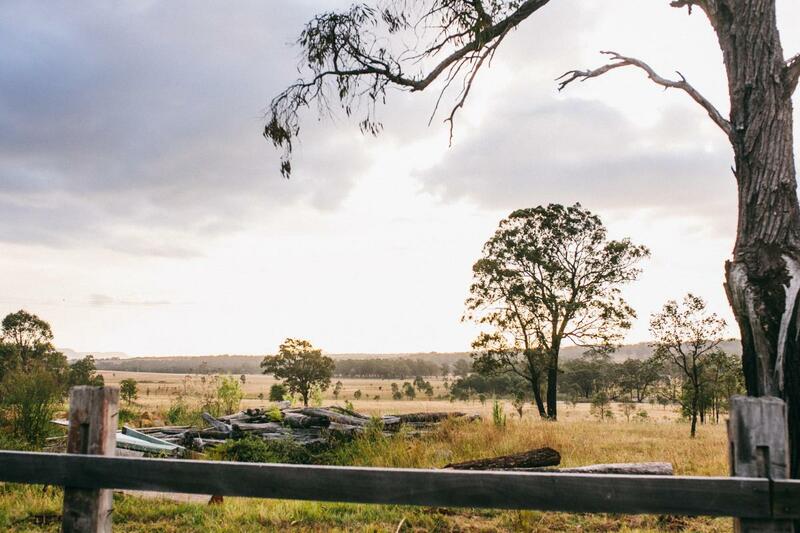 Major concert transfers are easy, with bus collection from the Stations front gate. 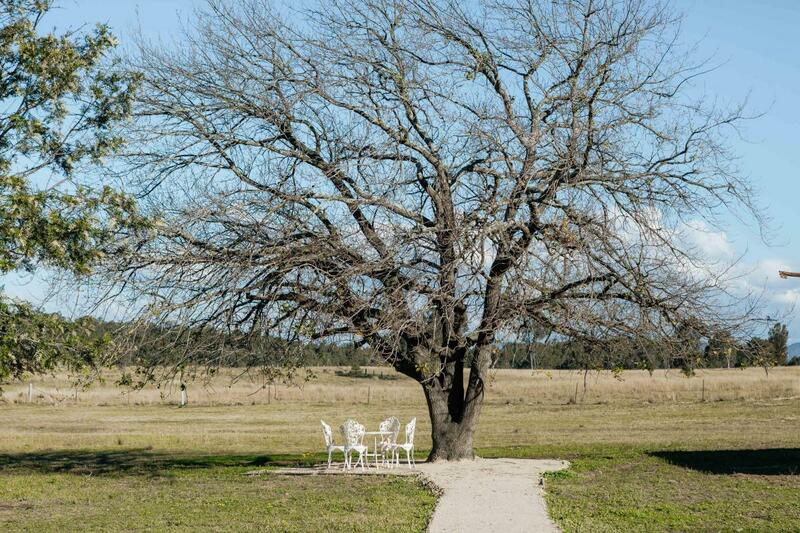 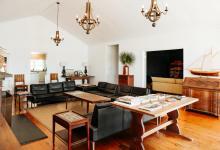 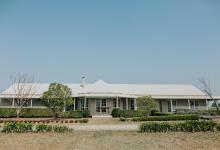 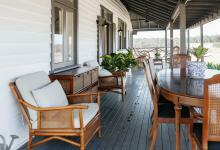 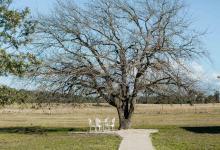 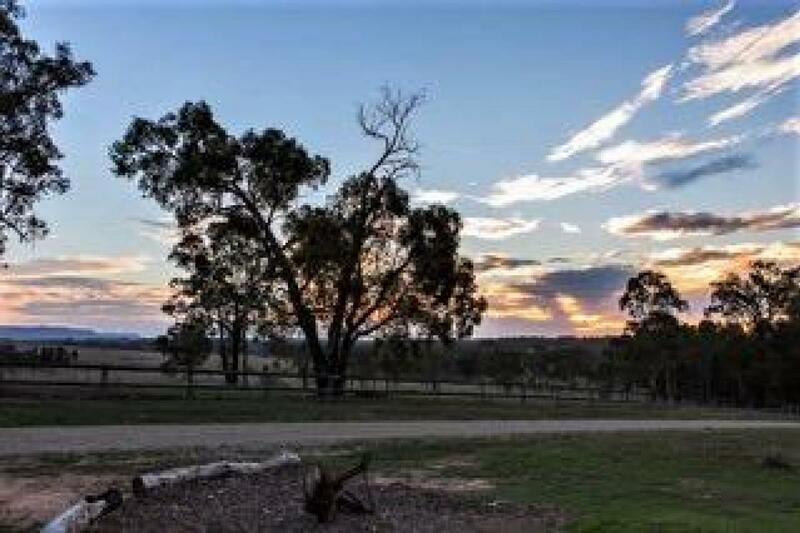 Set on 100 acres at the end of a country drive, with stunning views of the surrounding paddocks and Brokenback Range. 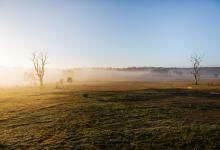 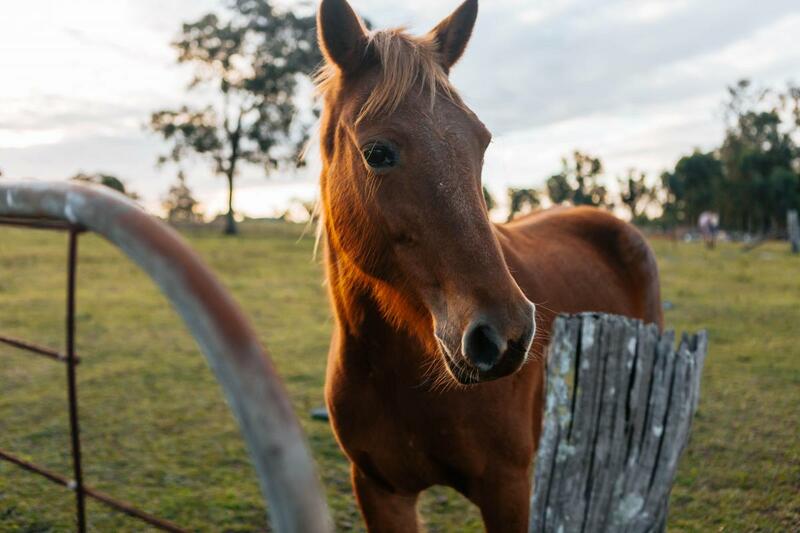 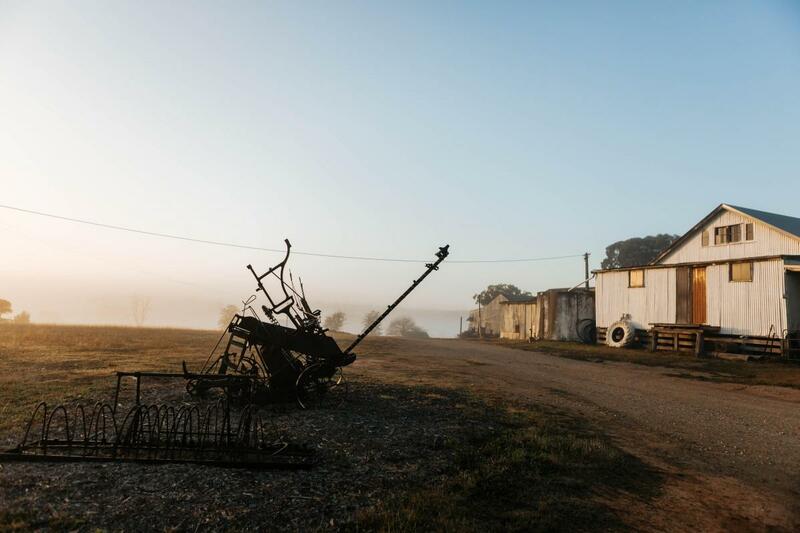 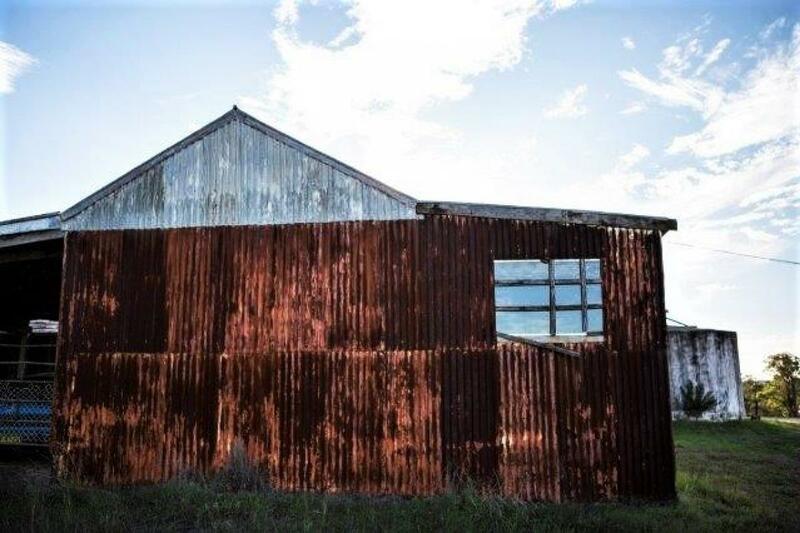 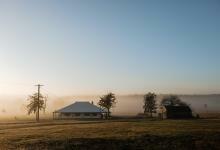 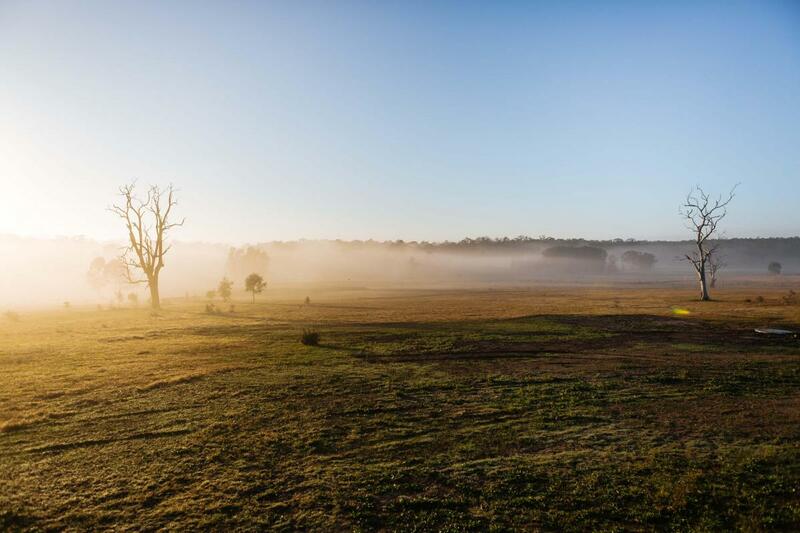 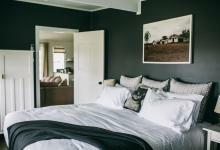 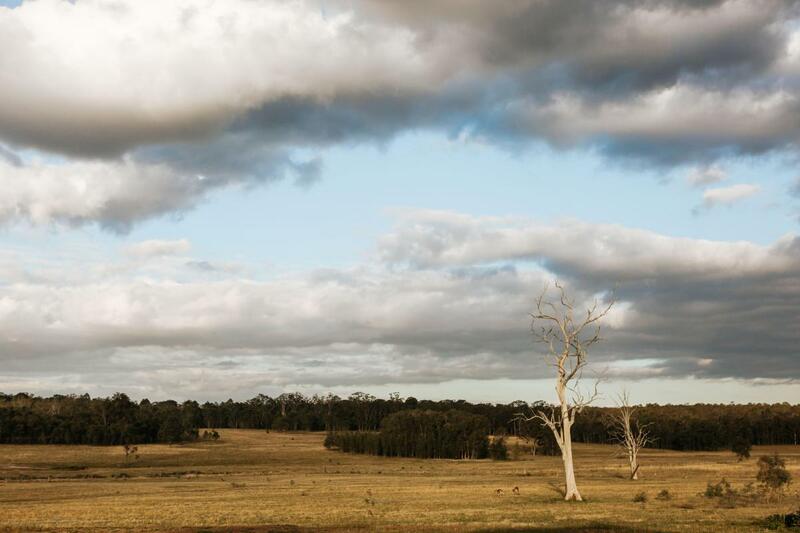 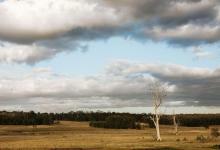 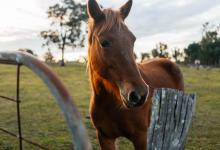 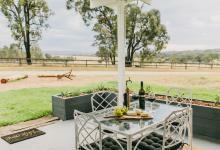 Beyond the stylish interiors, guests can stretch out and wander the property taking in the sites of the original saw mill, the vast shearing shed as well as the rural vistas, neighbouring cattle and resident kangaroos. 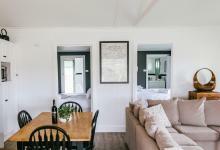 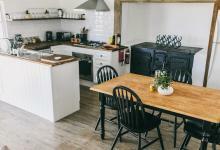 The Station can be booked in three bedding configurations accommodating 16, 18 or 22 guests and includes The Country House, The Homestead and Cooks House, all within a short stroll to each other. 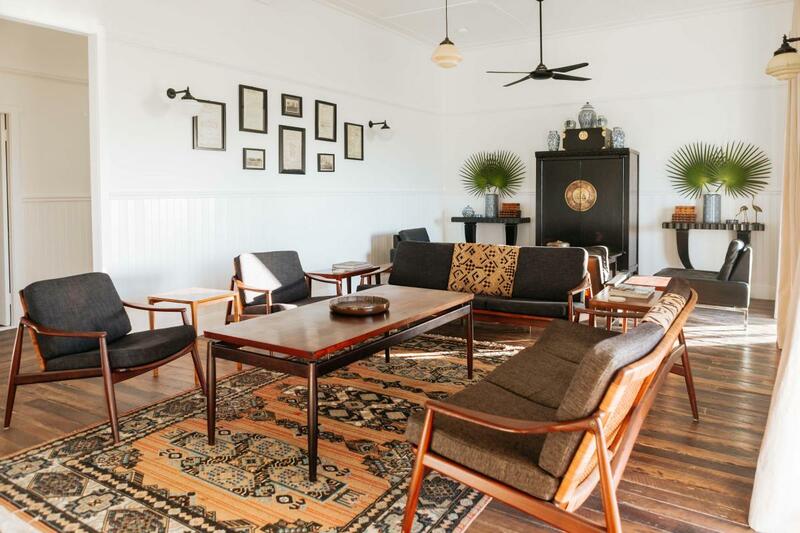 With all guest quarters equally echoing classic Corunna class, no accommodation is less than the other, with every building on the Station styled with great taste and high comfort, reflecting its individual sense of place. 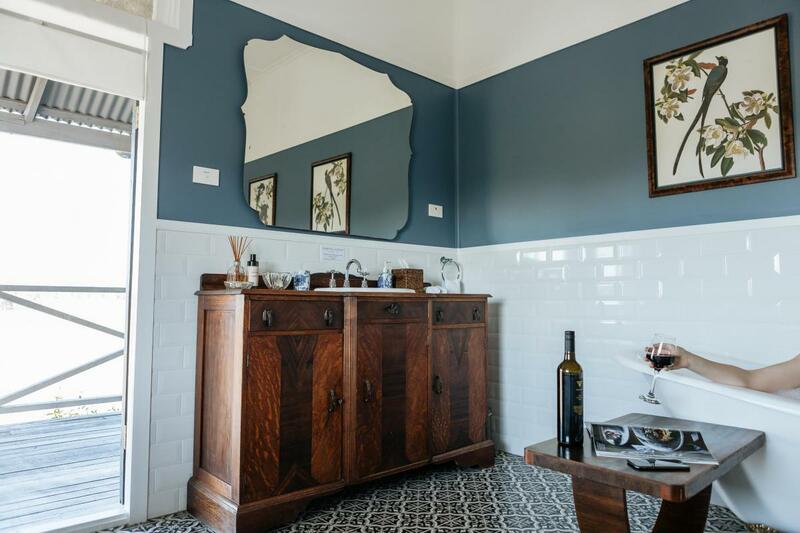 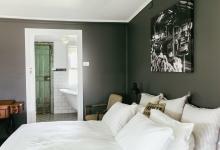 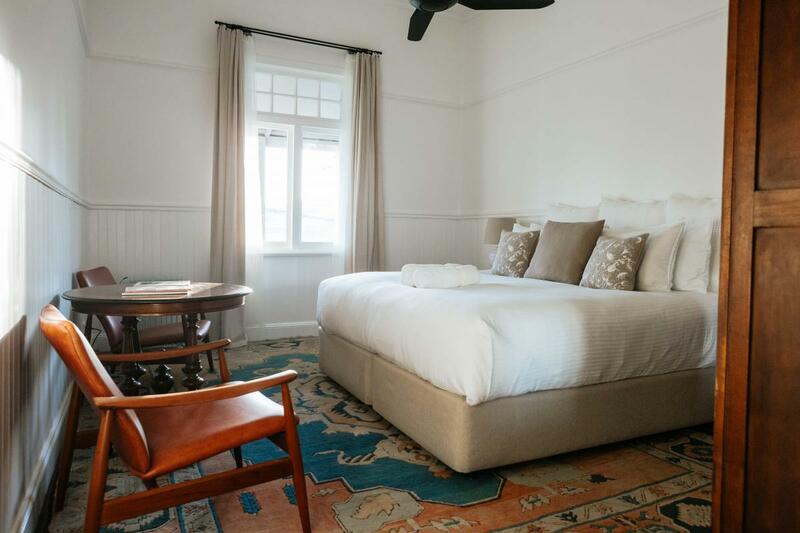 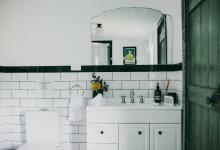 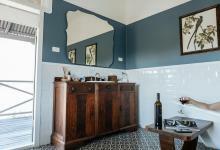 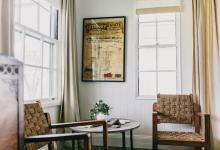 Brimming with original features, tactile vintage elements and much-loved family pieces, the guest quarters are a treasure trove of the Station’s rich working history, reminiscent of a bygone era of pastoralists and graziers blended with its new life. 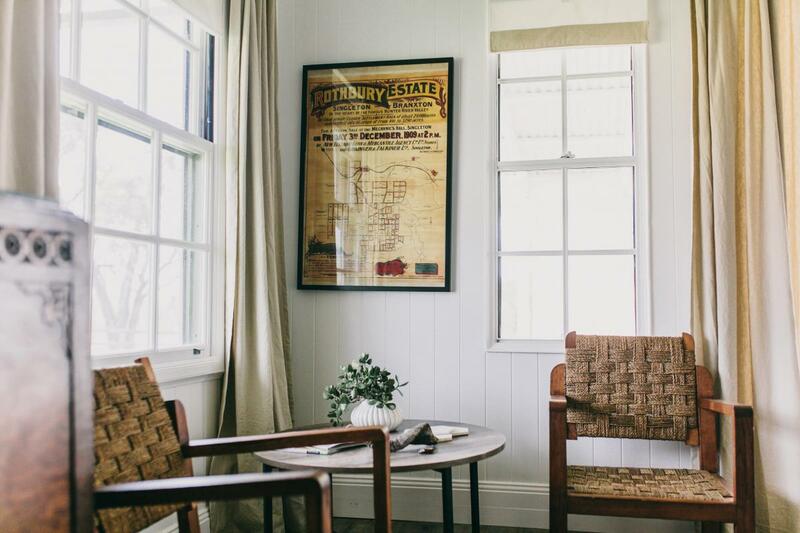 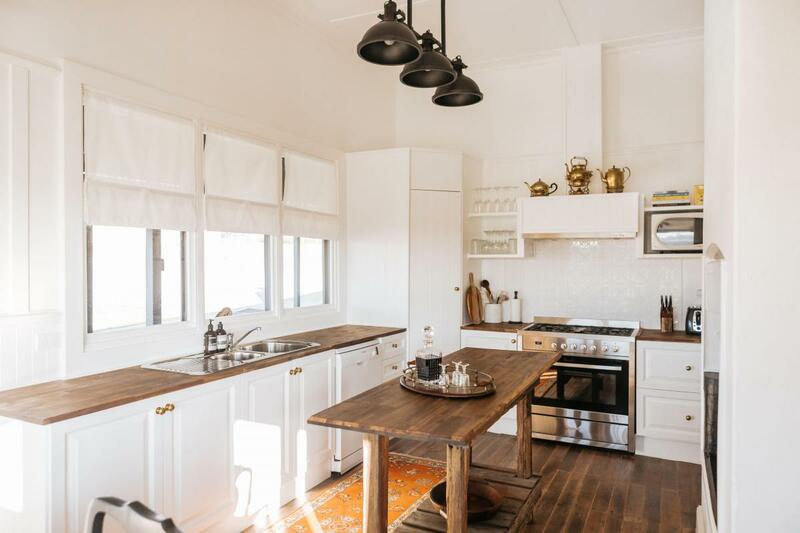 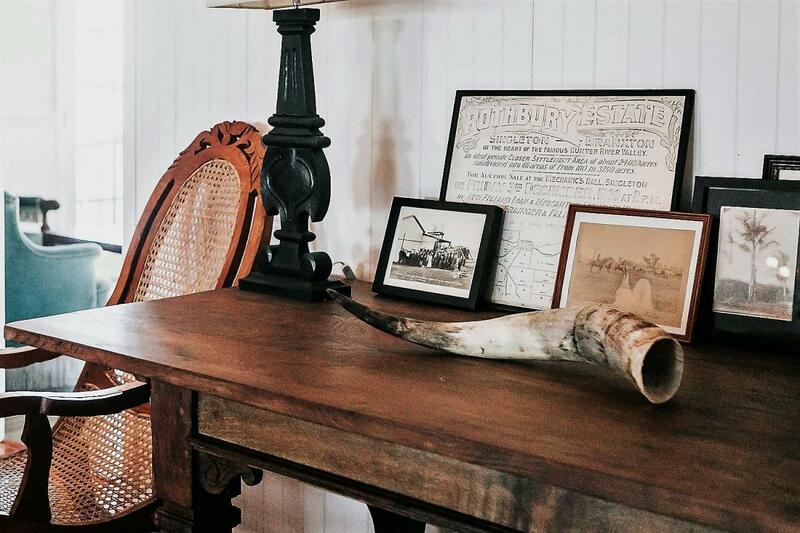 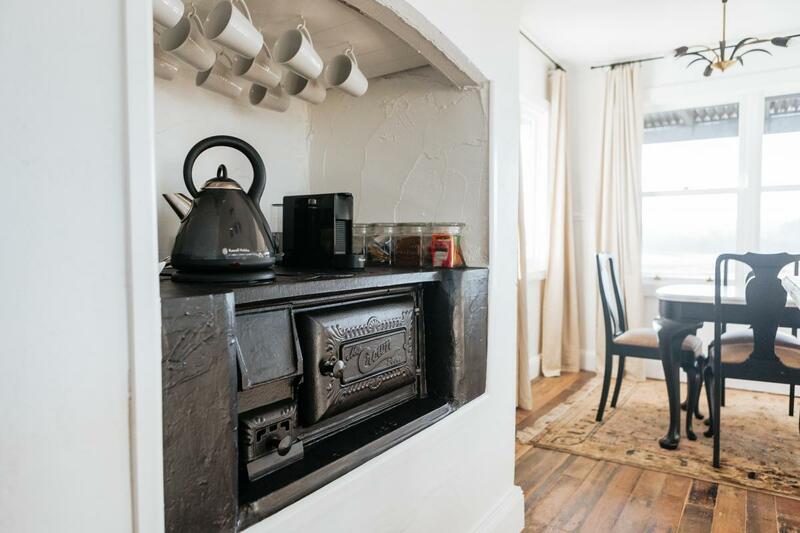 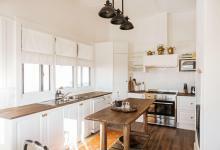 Careful curation and cues from the property's rich past are blended with all the modern conveniences, so guests can enjoy the heritage of this former working sheep station, the activities and the stories of the families who lived there, without making you feel like you're in a museum. 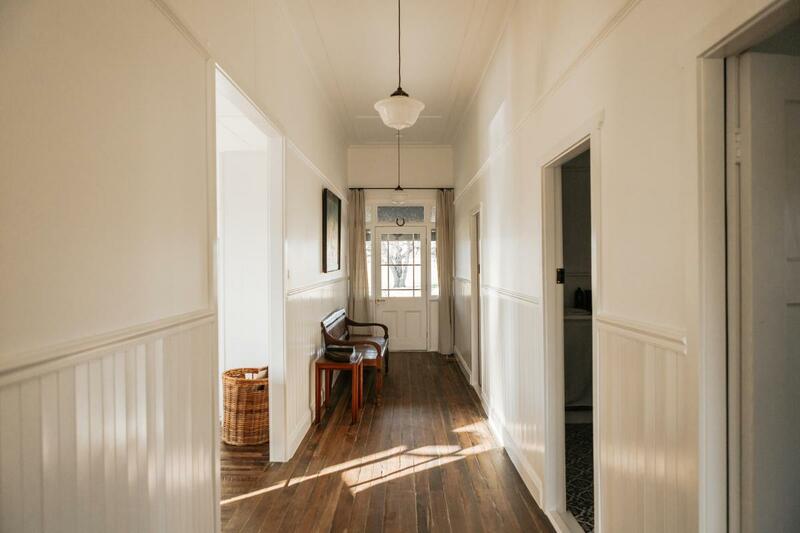 This perfect mix of the comforts of a luxurious station stay with all the mod cons, we know you’ll be hard pressed to decided which part of this beautiful property you’ll want to Instagram first! 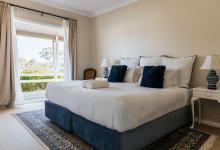 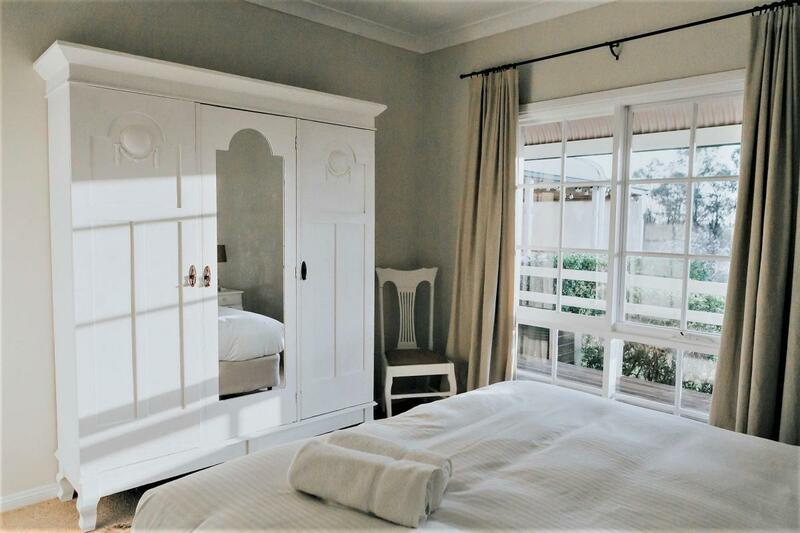 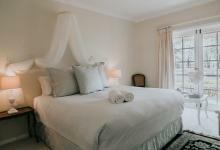 This stunning 5 bedroom, 3 bathroom house effortlessly sleeps 12 guests in beautifully appointed sleeping quarters styled with plump bedding with high comfort in mind. 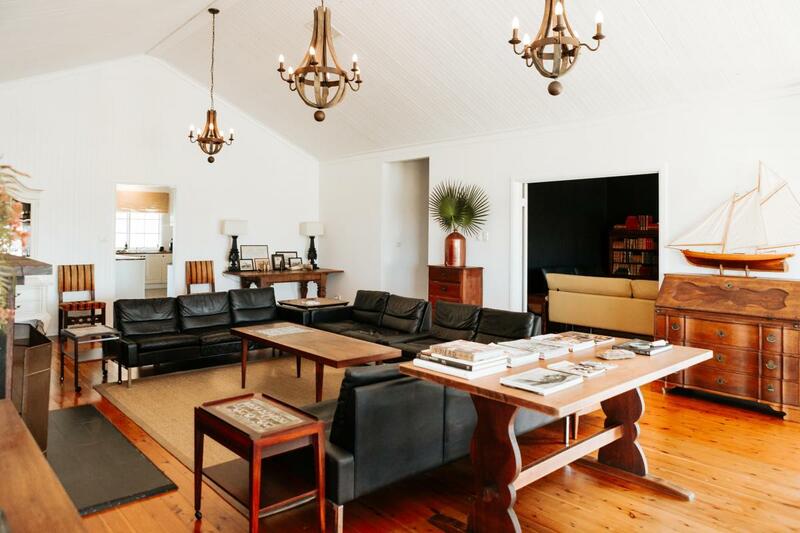 As the main residence to the Station, this gracious open plan house presents grand living and provides an ideal central lounge and dining space with a vaulted ceiling and floor-to-ceiling bay windows. 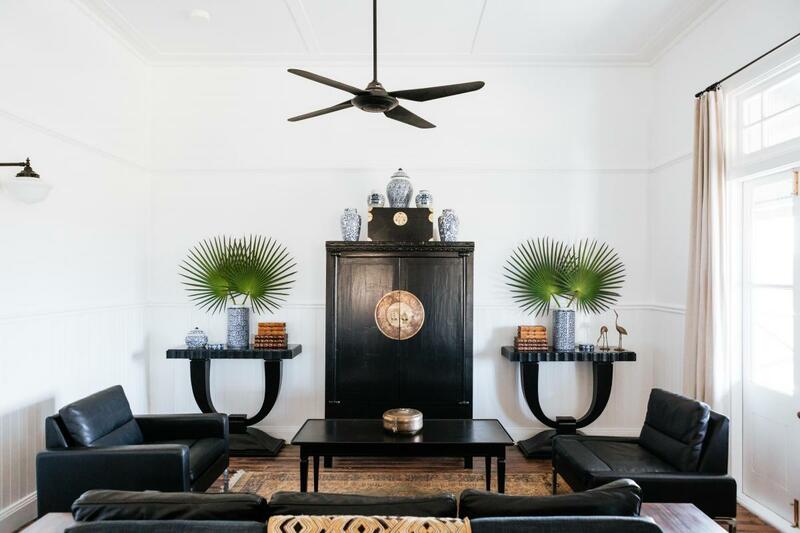 Rich timber furniture and decor sit effortlessly against muted tones, calm stone facades, luxurious linens and rattan features - the perfect interior blend of Australian Colonial meets designer India Hicks. 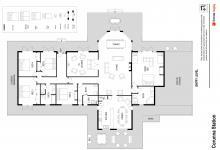 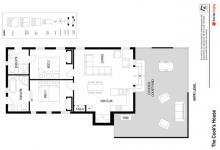 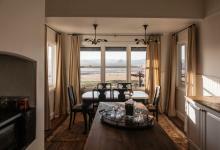 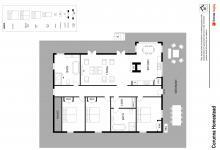 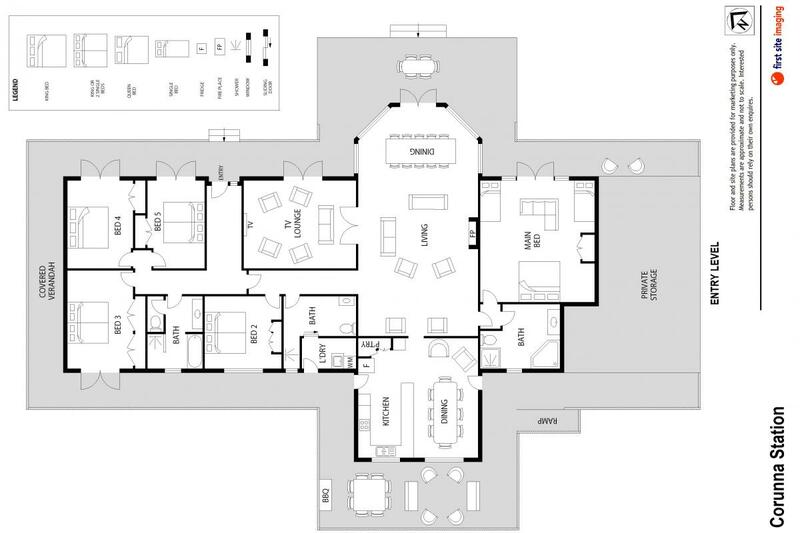 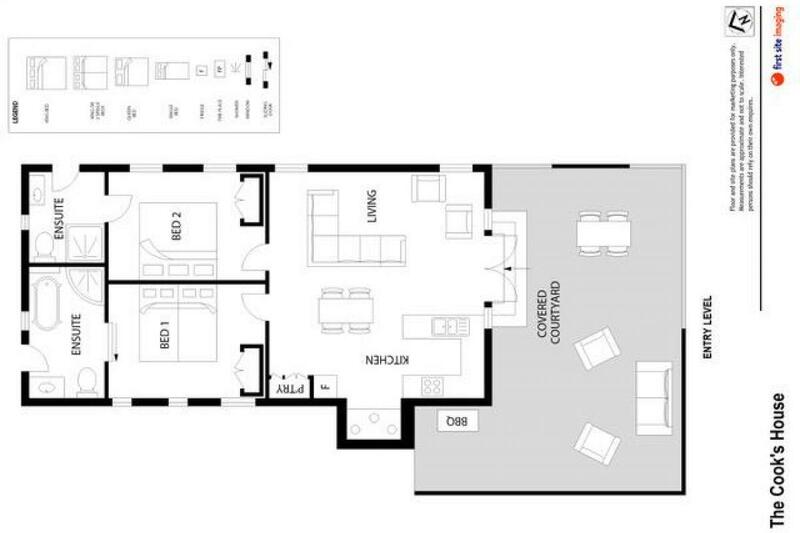 With an entertainer's kitchen, large preparation spaces to share and dine, both inside and out. 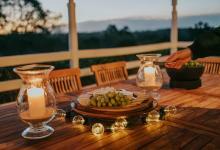 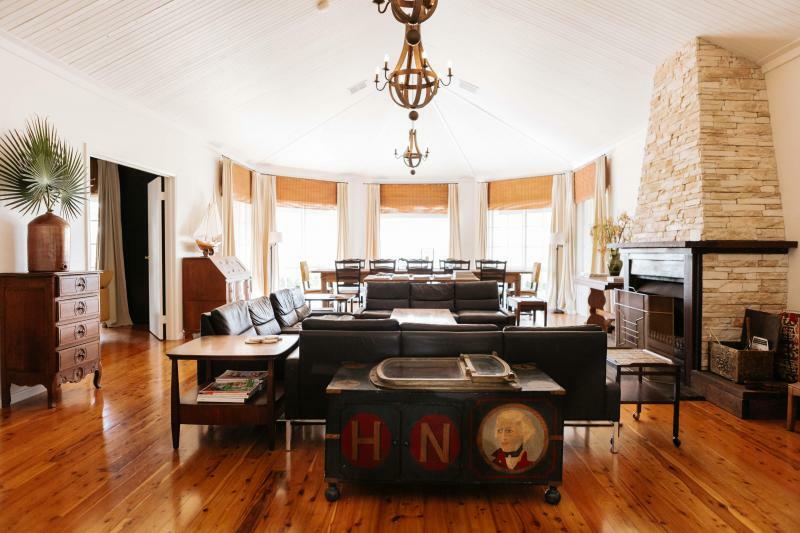 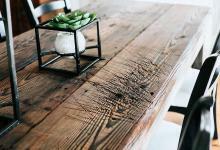 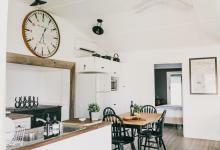 No stay at this country house is complete without a long lunch or dinner at the spectacular custom dining table, which was lovingly restored from the shearing shed. 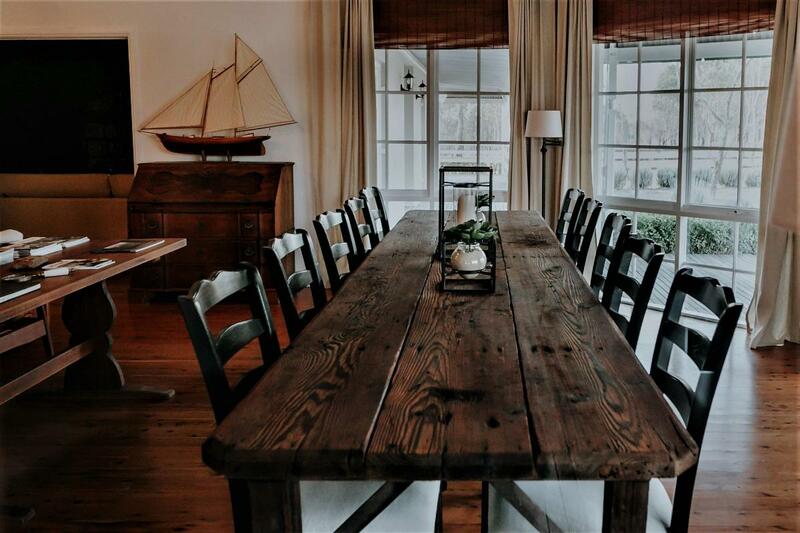 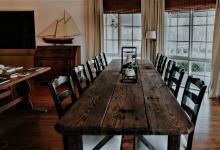 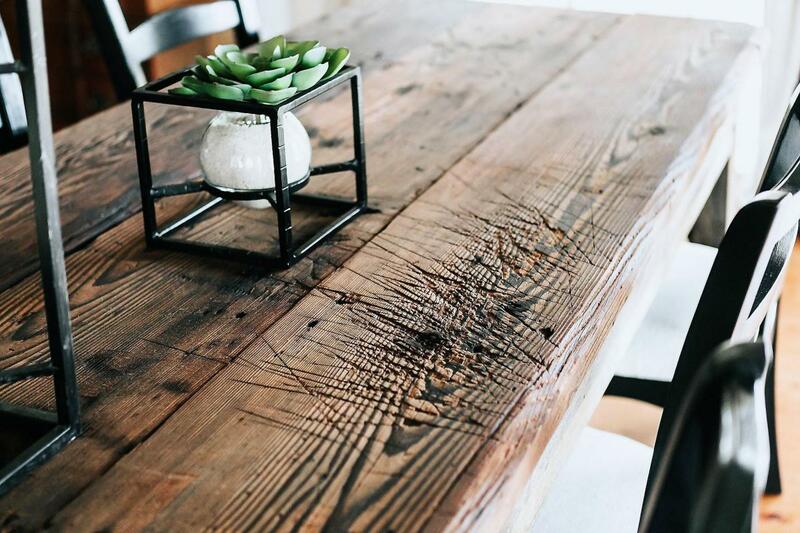 This is no ordinary table as it demands gatherings, abundance of fine food and celebrations. 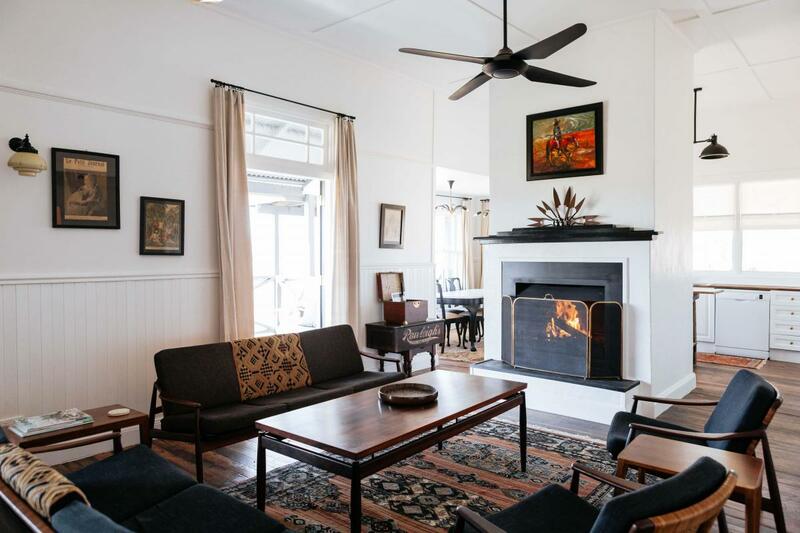 The living room provides an armchair for every mood and time of day so you can relax in your chosen spot by the open fireplace to catch up with friends, or curl up with a good story in a secluded corner of the property's entertainment and library room. 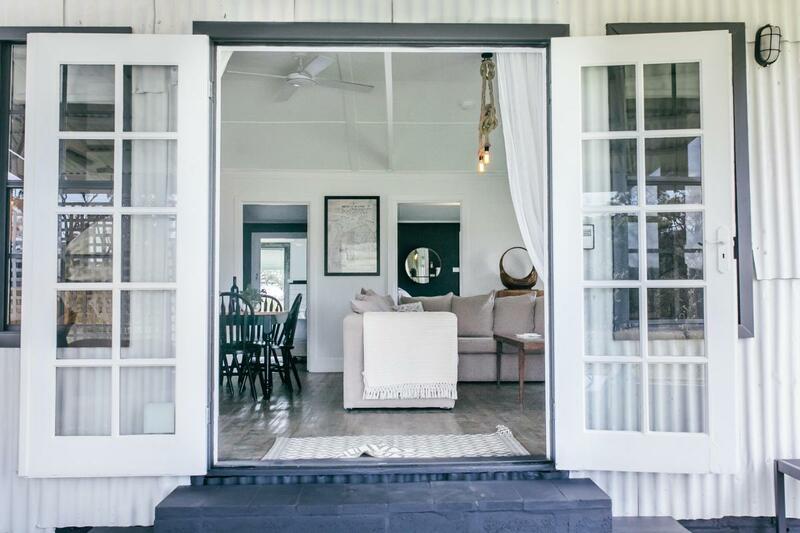 In the summer, throw open the french doors and enjoy the breeze or set a temperature that suits you best as the property is fully air-conditioned. 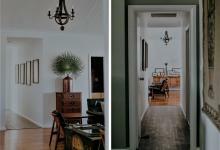 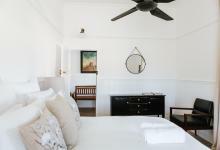 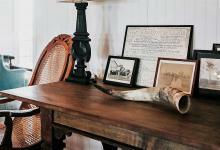 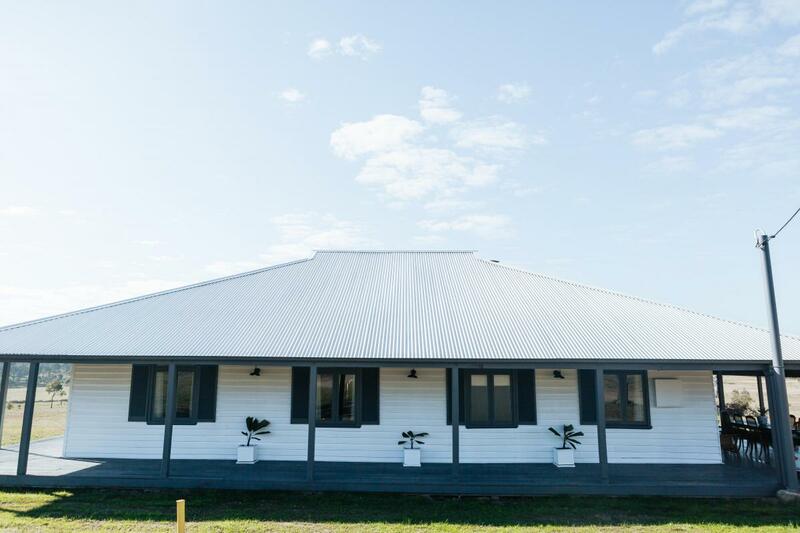 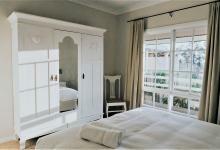 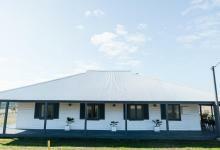 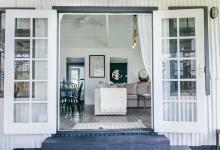 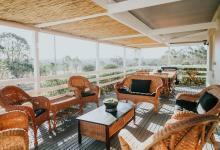 As the newest edition to the Station’s accommodation, The Homestead sleeps 6 guests in 3 bedrooms and 2 bathrooms. 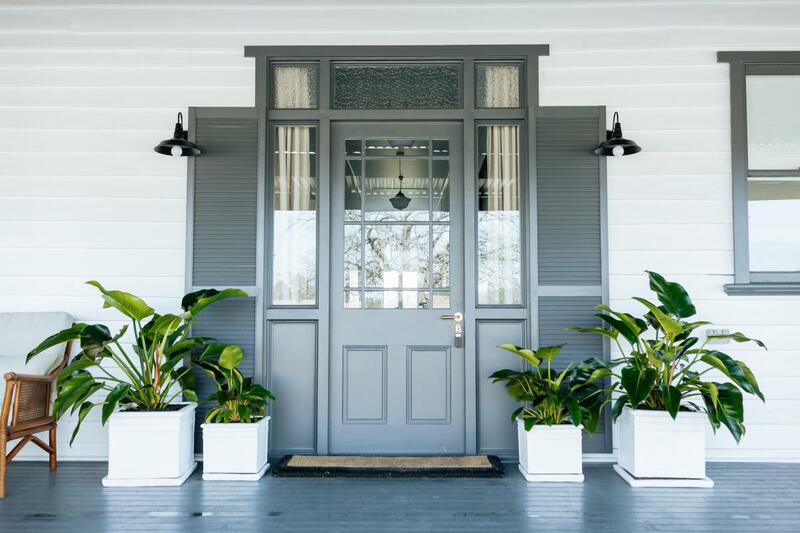 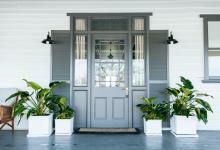 These quarters have been lovingly restored to perfection and celebrates the elegance of wide hallways, period features and long afternoon shadows on the generous wraparound verandahs. 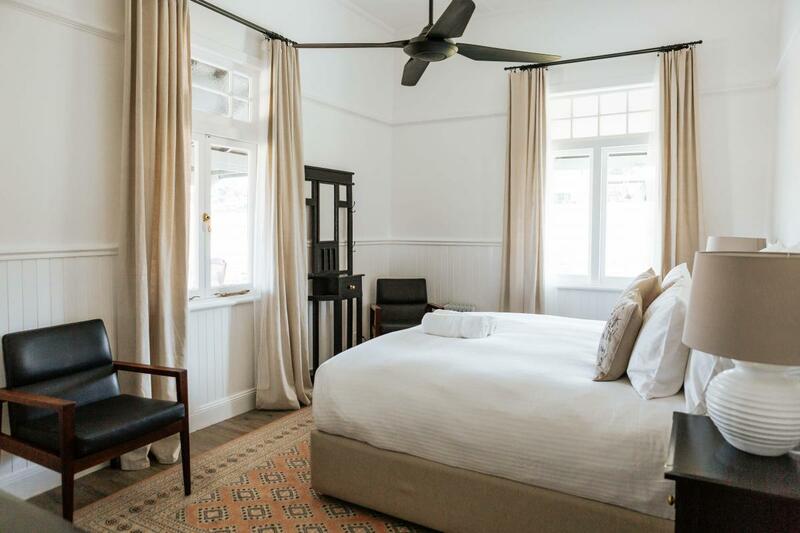 The 11 foot ceilings, striking overhead fans, patterned tiles, schoolhouse lights and crisp cotton bedding are complimented by reclaimed and repurposed pieces from every era taking on new roles throughout the house. 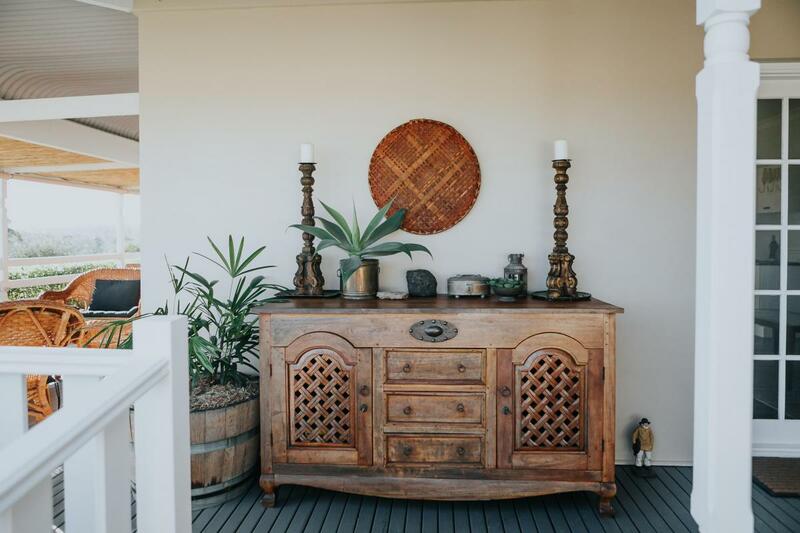 Colonial, Danish and Victorian influences dance together effortlessly and create an interior of thoughtful surprise and delight for guests. 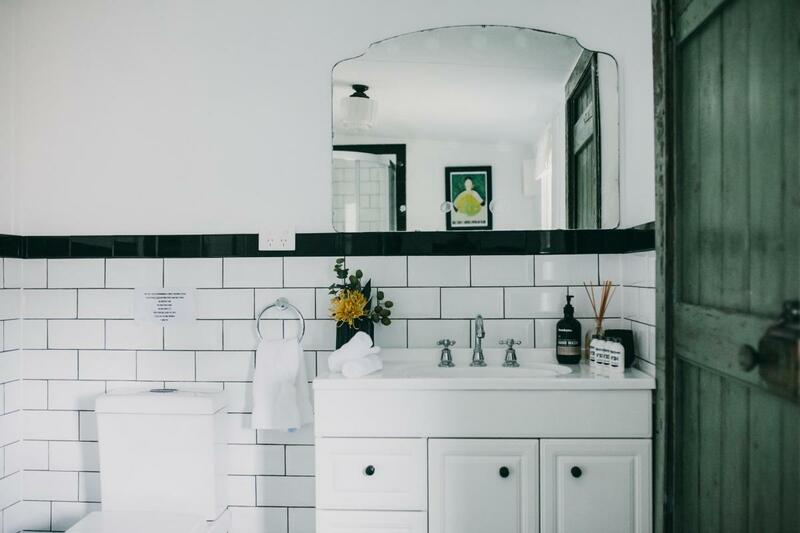 Styled with classic white and romantic linens that interplay between jet black enamel features, up-cycled walnut treasures all set against the crisp white walls that usher you to enjoy the individuality of every room. 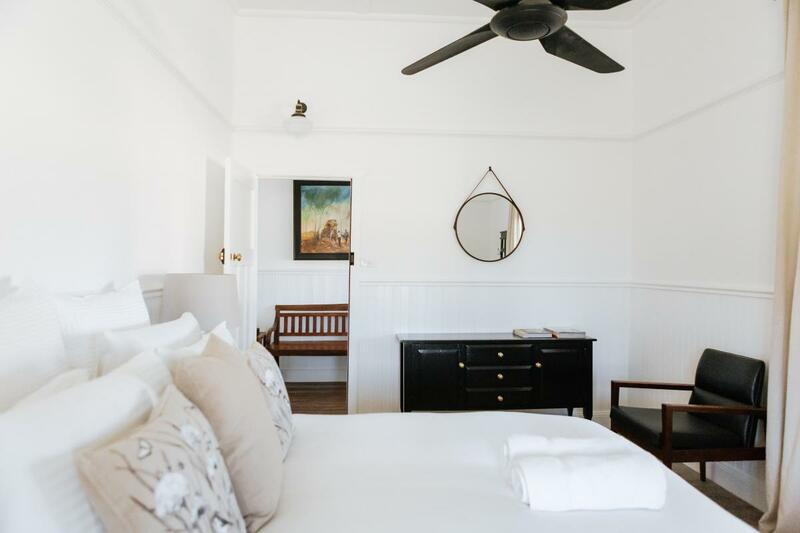 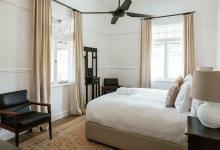 In summer, the light filled and spacious rooms of the guest quarters provides air flow and room to move, with each space opening effortlessly to verandahs where you can seek out your sunlit corner to inhabit with a glass of wine and let the hours slip away. 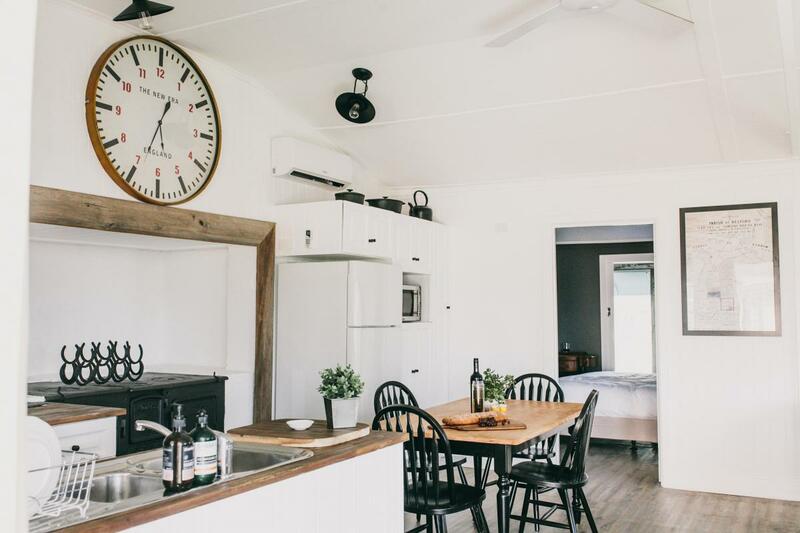 In winter, the custom kitchen will have you roasting and toasting with a fine bottle of Hunter wine to your heart’s content whilst your guests lounge next to the open fire. 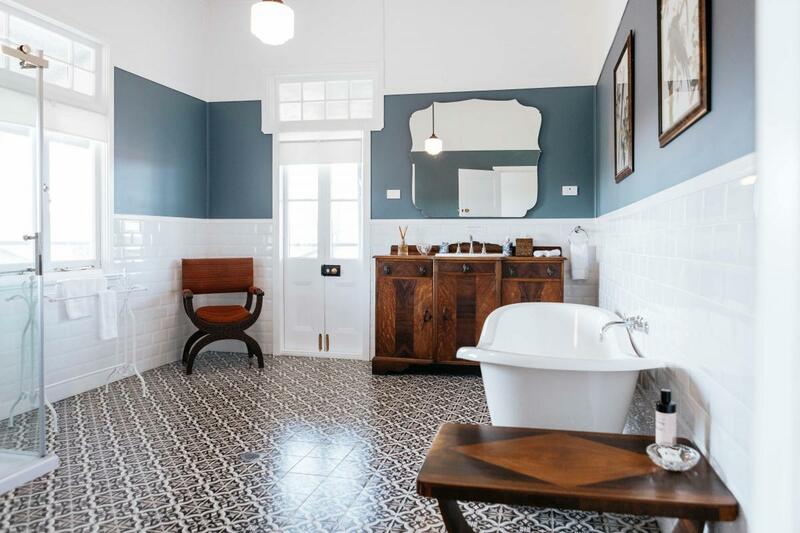 With both bathrooms featuring a deep, shapely claw foot tubs, you’ll find every reason to soak and, linger longer. 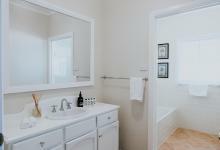 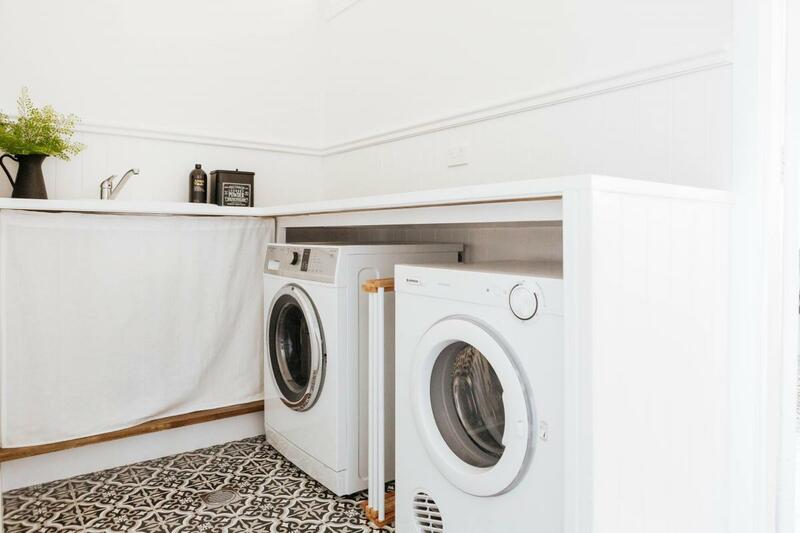 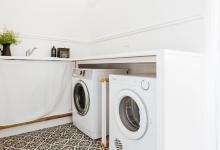 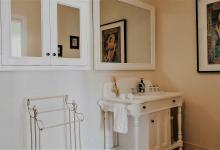 A charming laundry with washer and dryer adds the final touches ensuring you have everything you need for a longer stay. 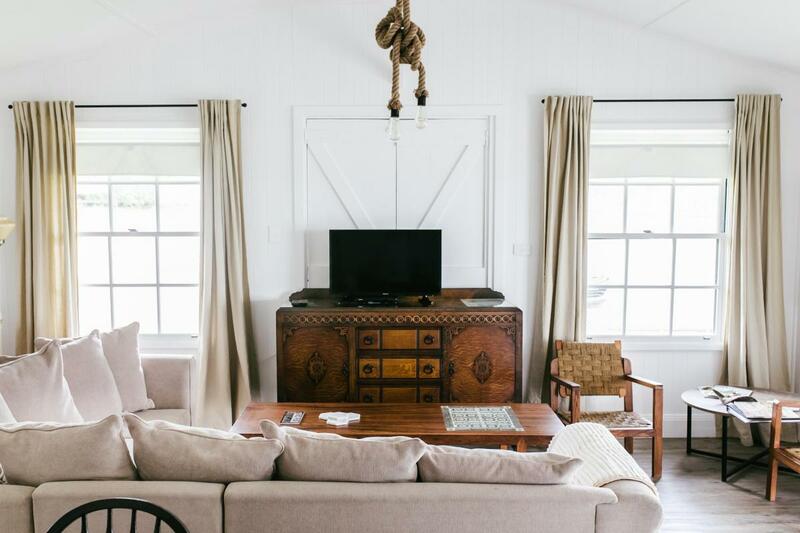 Corunna’s signature style is alive and well in this petite version of The Country House and The Homestead. 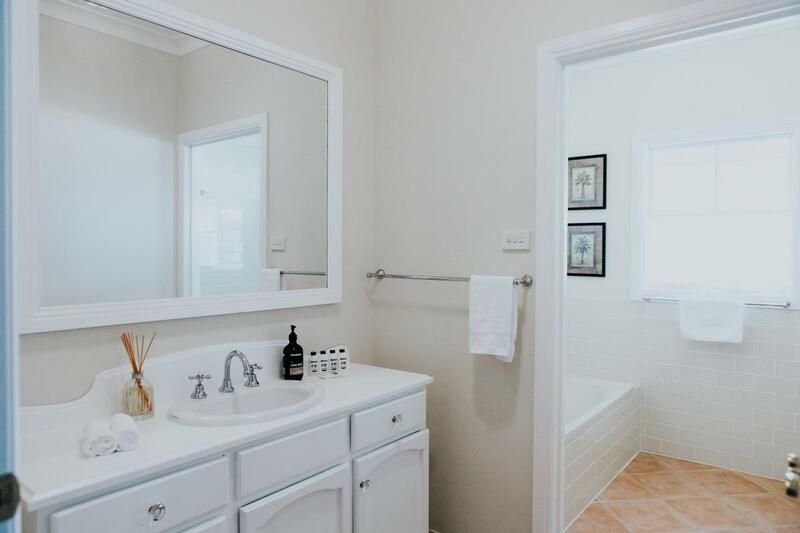 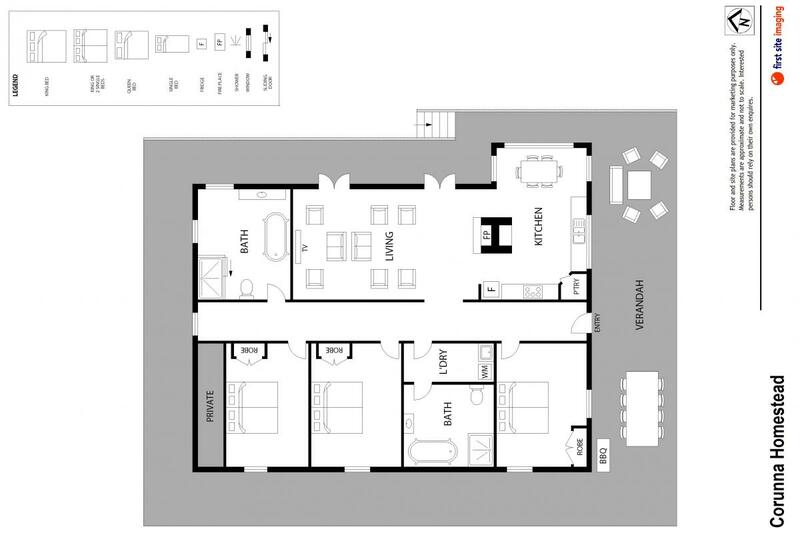 The house is self contained and features 2 king size bedrooms and 2 bathrooms, one with shower and the other, a classic claw-foot bath. 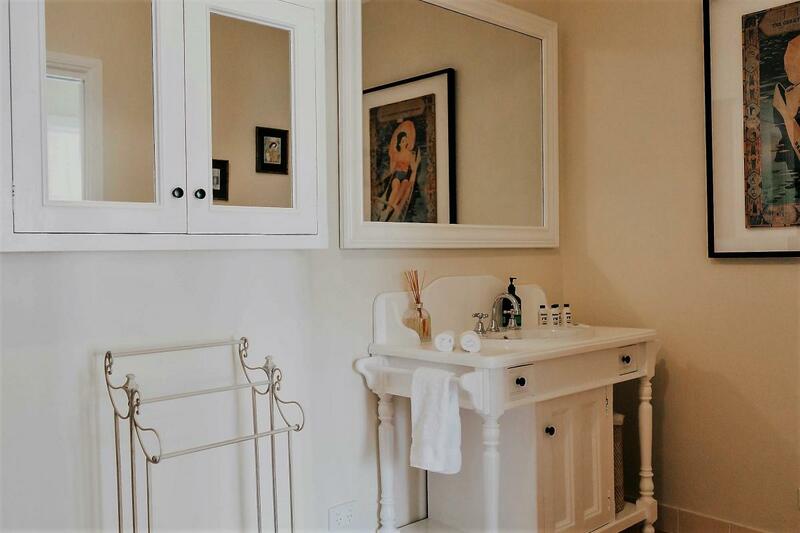 Enjoy the comfort of air-conditioned bedrooms, generous bathrooms, fully equipped kitchen and sitting room with a lounge perfect to enjoy a movie or snooze. 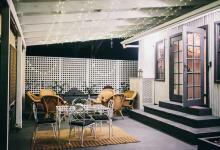 The undercover outdoor entertaining verandah can be enjoyed in all seasons with gorgeous views of the Brokenback Range, exterior overhead fans, gas BBQ, outdoor lounge and dining table as well as a wood fire stove in the winter months. 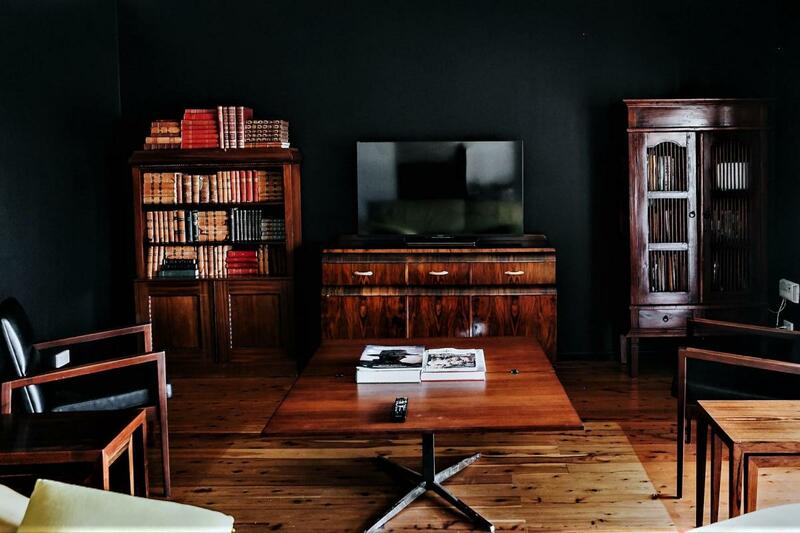 While away the evenings with friends over the games table for chess and cards, or enjoy the library of books, DVD’s and a complimentary port in hand - everything you need to make your stay relaxing and enjoyable. 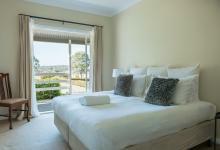 Maximum 22 guests or 19 guests in separate beds. We had the best weekend! We booked Corunna Station for our end of year staff get together and it couldn't have been more perfect. The houses are exactly as you see them in the photos. 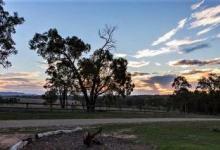 It was the best spot for gathering on the balcony in the evenings, watching the Kangaroos out in the field and enjoying the sunset. 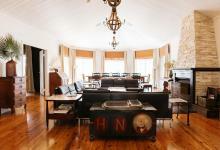 We loved the space and the rooms it was such a beautiful location with perfect accommodation for our large group. 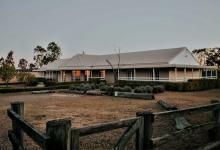 The property is immaculate, and everything that we wanted. 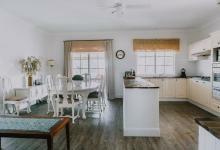 We stayed in all 3 properties on the estate, and each had it's own unique charm and features. 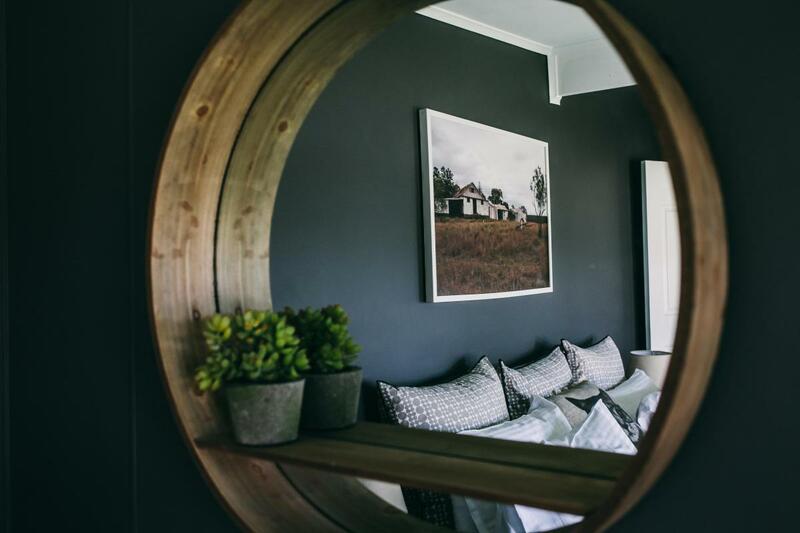 Everything with this property has been thought through from a customers perspective to ensure the most comfortable and easy stay. 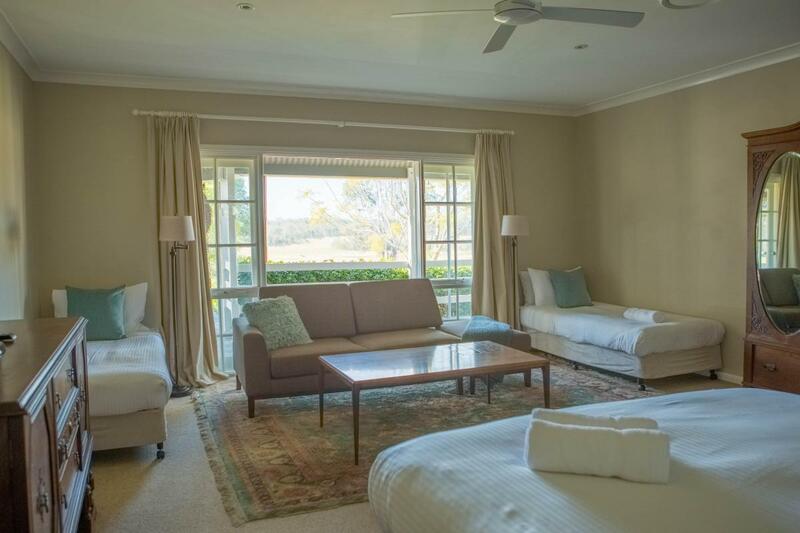 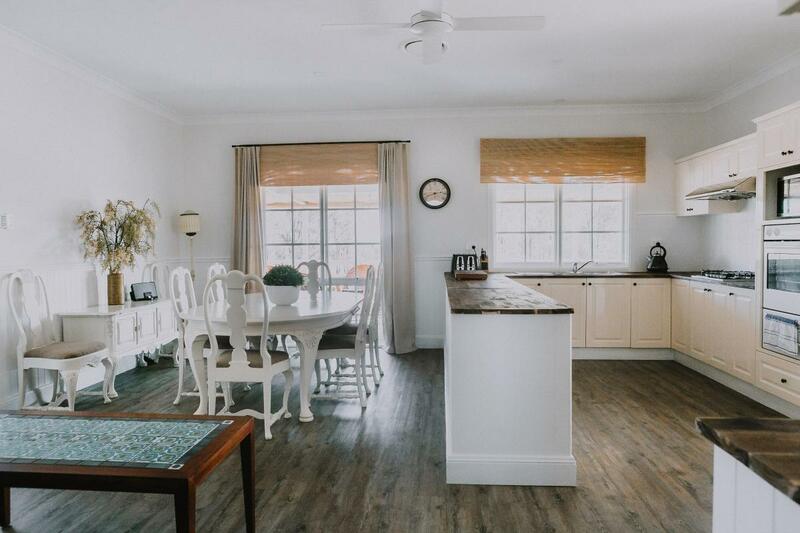 If you’re traveling with a large party and want to stay just enough away from the hustle and bustle of the Hunter Valley, but don’t want to be too far away for great restaurants and wineries, this is the house to stay at. 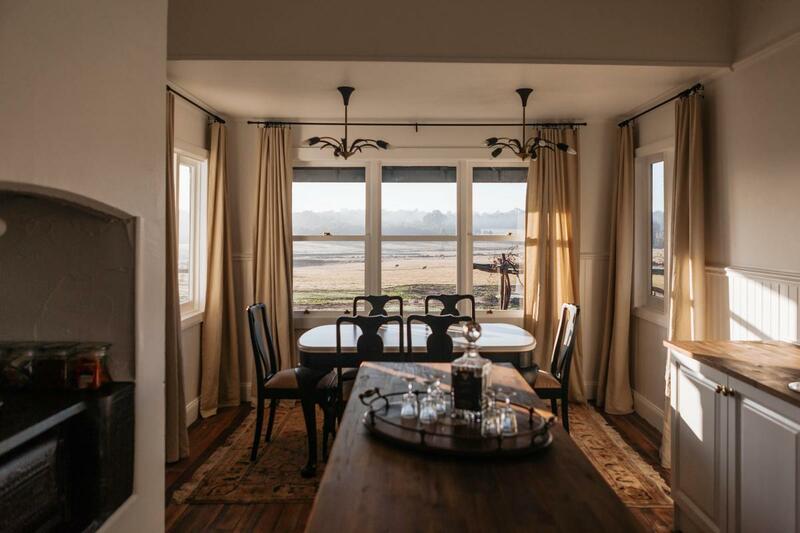 It’s incredibly, beautiful, clean and the views from the house are breath-taking. 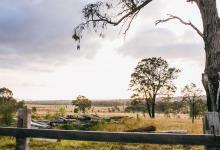 The hosts were absolutely lovely and we had kangaroos in the backyard every day. 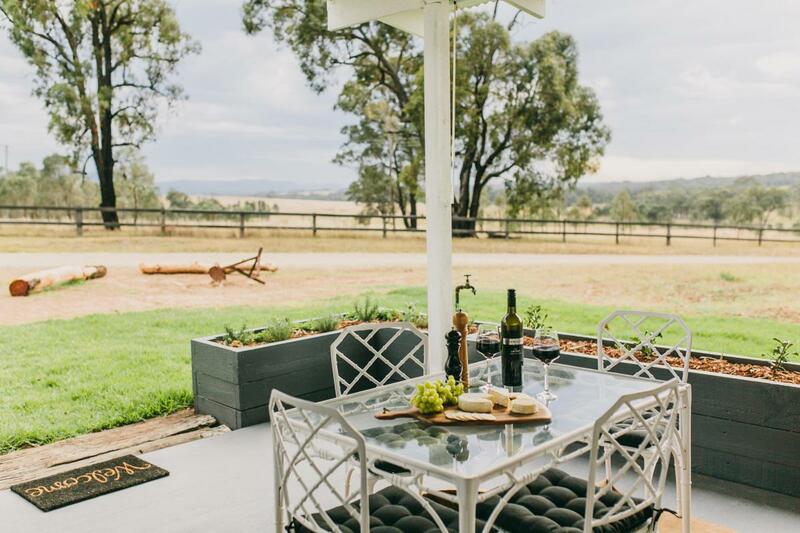 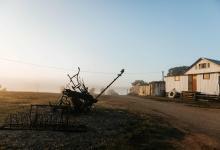 The restaurants and wineries of Pokolbin are less than 10 minutes away. 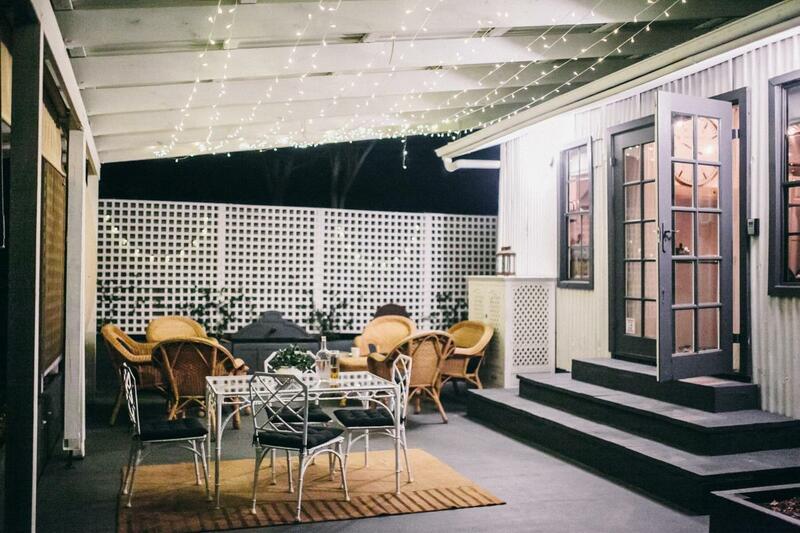 I’m so glad my family and I picked this house.